Since I didn't get the chance to register for Singapore Ultramarathon, I'm not going to miss this since this is one of my adventure wish list (refer to right column). Menunggu Singapore Vertical Marathon lama lagi (november). 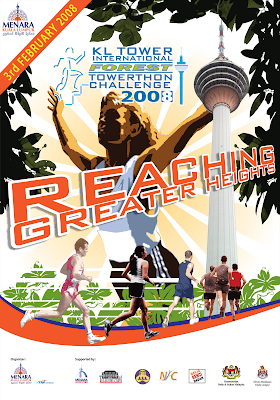 Runners will be required to run approximately one kilometre uphill before climbing 2,058 steps to reach the Tower Head 3 at 288 metres above ground level. So do you dare to take the challenge!!! !